Beyond traditional lessons: this is for those seeking meaningful, relationship based experiences with their horses. Learning with us is holistic and requires a minimum 6 hrs./wk. commitment. Most of the work is on local trails and sessions average 2 hrs. with some taking full days. This is not a pick and choose what you want to learn program. It has a well thought out progression where one part becomes a foundation for the next. This program requires a 4 month commitment for adults and 3 month commitment for youth. You must be willing and open to work with your horse at eye level, hiking and technical groundwork before proceeding to mounted work. 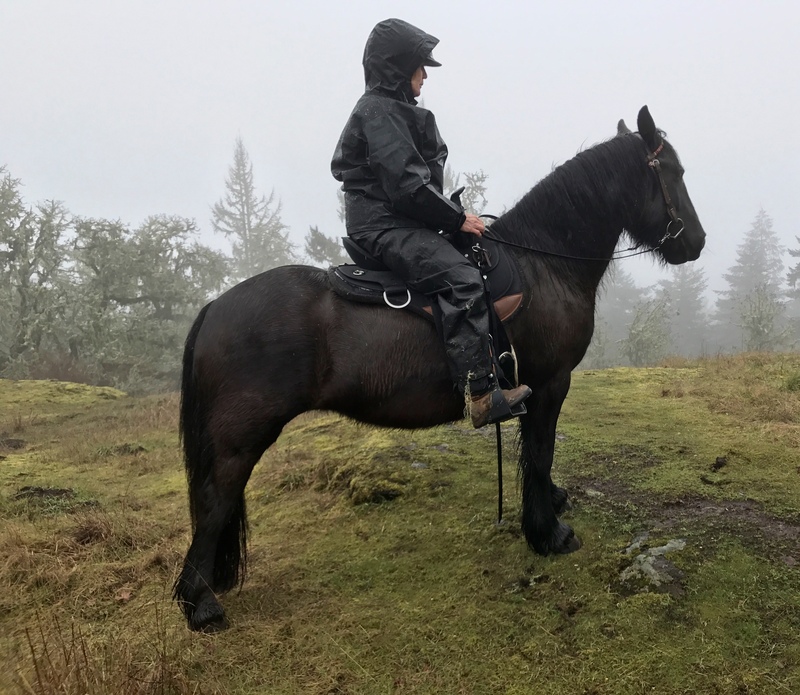 There will be a pre-requisite of hiking on various trails minimum 50 hours with your equine, keeping a written journal accompanied by photos/videos. This program is limited on availability allowing us to only take on individuals who show significant focus & commitment. The philosophy we offer is unique to mainstream popular narratives and mind-sets that prevail with most trainers and teachers. Working with and for horses should not be a battle for your ego, or a dictatorship that is disguised as connection. The goal is positive, cohesive navigation that strives to minimize conflict and danger. * Leadership. Learn your responsibility as a leader and how to establish respectful leadership with your horse. * Skills. We provide ways for you to develop and improve your technical riding skills. We teach you bio-mechanics, balance, and how to develop flow as you navigate. * We teach the importance of good 2-way communication that comes from a mindset that horse and human are navigating together, solving problems and having experiences together. We help you develop your listening skills and ability to make good decisions based on what your horse is telling you. * Thinking. Along the ride, we assign tasks and create obstacles that encourage thinking and planning. * Confidence. Trail riding is a natural way for both you and your horse to build confidence. * Conditioning. Build stamina for the horse. Improve your seat and balance as a rider. * Focus. Learn to get and keep your horse's attention. Learn to listen and pay attention to your horse. * Safety. Teach your horse to behave sensibly and safely. Learn good rider safety. * Spook Control. Help your horse understand water, bridges, hikers, bikers, or any scary thing. * Social. Horses enjoy being together on the trail. Riders can learn from other riders and horses. * Therapy. Relieve stress and learn to relax with your horse.